I've heard this repeatedly over the years, that Einstein was bad at math, that he was bad at history, that he was dyslexic. I also read somewhere in my youth that some of the " bad at math" stuff was based on a poor exam score he once received - but that the test had been in French, which Einstein couldn't read. Can someone cut through the junk and get to the heart of this. Was one of history's greatest "teachers" a bad student, or have a learning disability? I find it hard to believe. The Swiss school system has a 6 as best grade, and 1 as poorest, while the german is the other way round. Perhaps the legend is founded there. It's a myth that Einstein was bad at math. Although, as someone who studied physics himself I can tell you that physicists (including Einstein) sometimes do seek help from mathematicians. Other than Physical experiments for beginners with a mark of 1 (maybe physical experiment wasn't his bag). You can't tell Newton F=ma is wrong if you can't do the math. Albert was one smart dude. 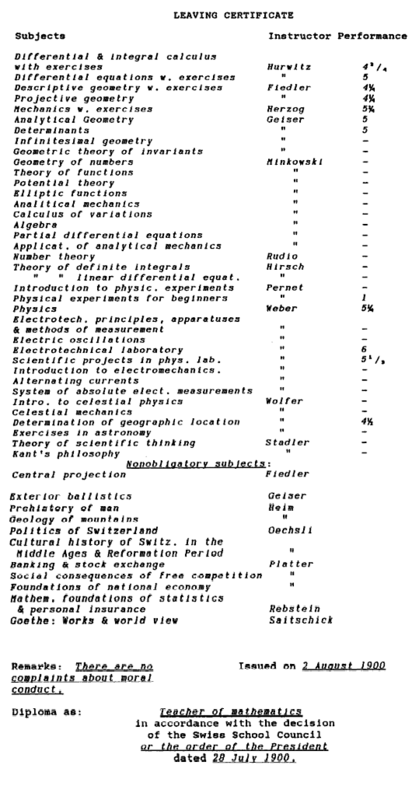 Various contributions to quantum mechanics, especially in its epistemology (EPR, light box, Scrödinger's cat and other gendankenexperiments). Most of his contributions did not require an extensive mathematical knowledge. The average mathematical level of a physicist of his time was more than enough to understand most of his contribution. That is, with the very notable exception of general relativity. GR is based on differential geometry which is way more sophisticated than mere calculus or Lorentzian/Euclidean geometry which is pretty much all that was needed for the rest. That is why it took Einstein 10 years of hard work to extend special relativity to general relativity - he knew perfectly well where he was going, but he needed to study the maths. I believe that his "struggling with the maths" was a bit misinterpreted. He was far-exceeding his contemporaries on the subject and that is why he was struggling - not because he was not "good at maths". GR is still considered graduate-level physics because of the complicated maths needed. 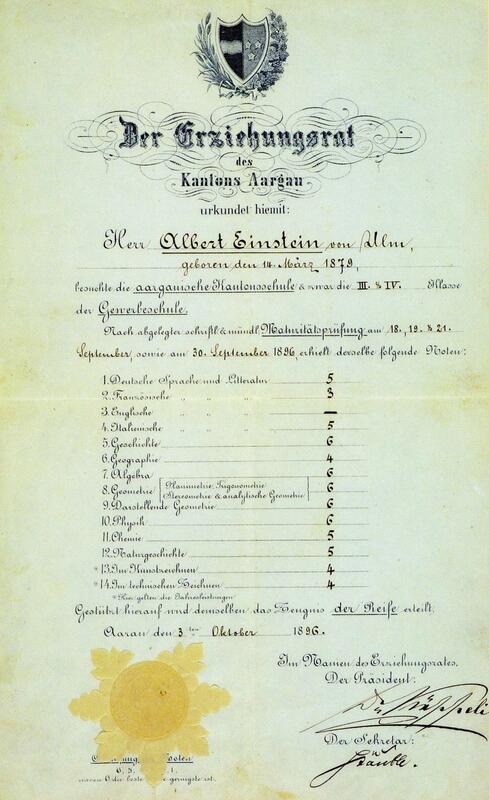 At the beginning of October 1895 Einstein wrote this exam. He obtained the best results in the mathematical- and natural science subjects, but in the linguistic- and historical subjects his achievements were unsatisfactory. His overall result was rated as insufficient. Did Ed Trice force the rescoring of a national standardized math test? Does homework improve student performance?